It is so heartwarming to see little Patrick enjoying his life now!! 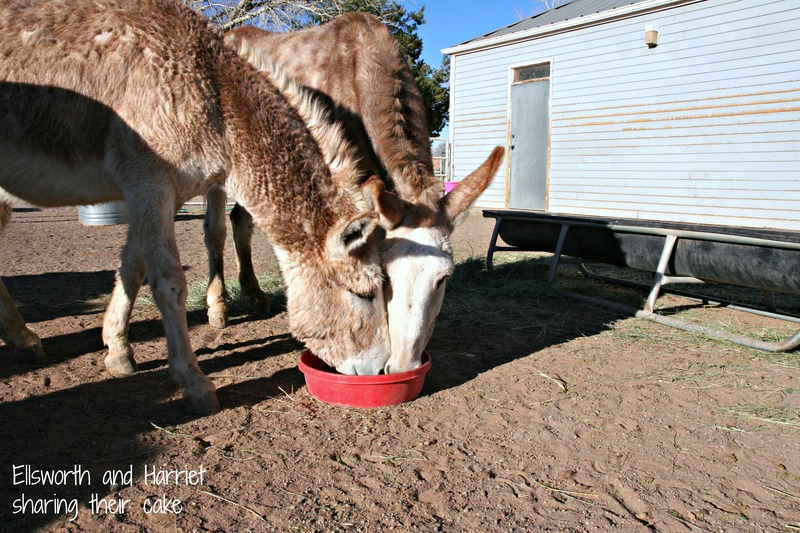 After where he was just a couple years ago, I’m sure he thinks he died and went to donkey heaven! Thank you so much for having so much love and compassion for all of God’s creatures. Happy birthday, Patrick!! Happy Birthday, fluffy face. You know that you are loved by us all! So nice to see them all together, they all look so happy and content. Happy Birthday Patrick. Happy Birthday (one day late) Patrick! 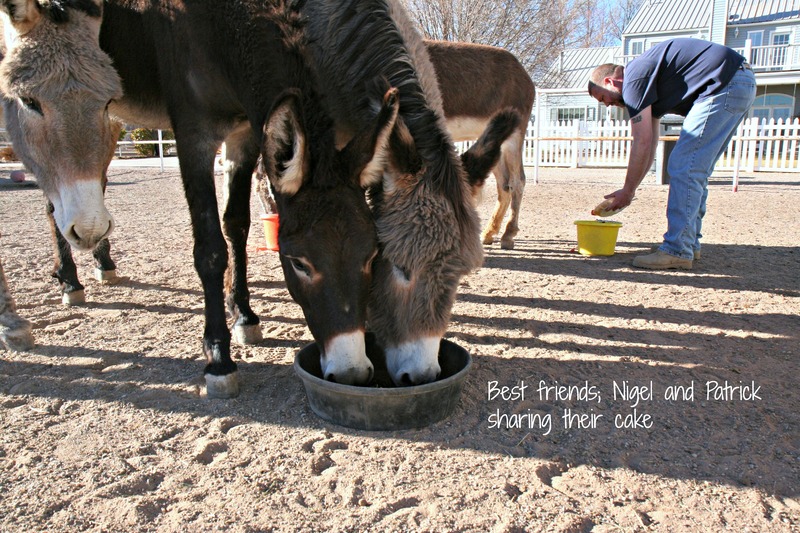 Looks like the cake was a big hit. 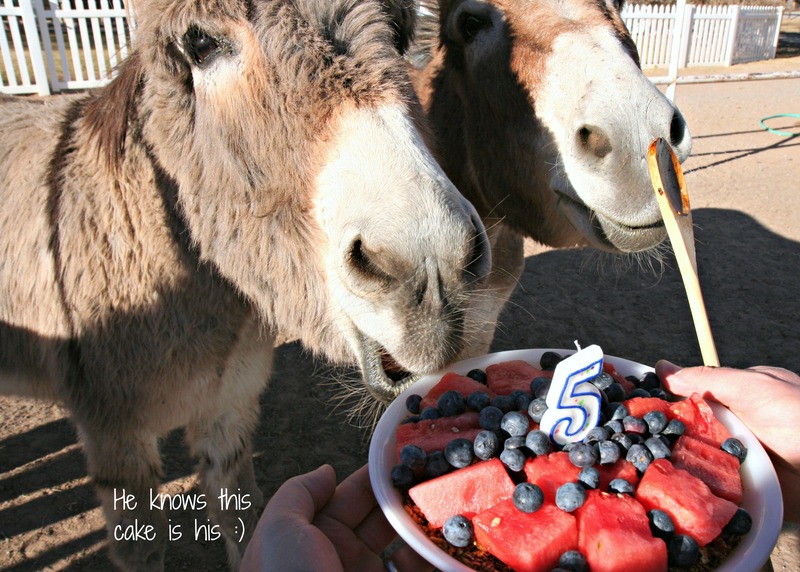 Happy Birthday Patrick, you are one lucky donkey! 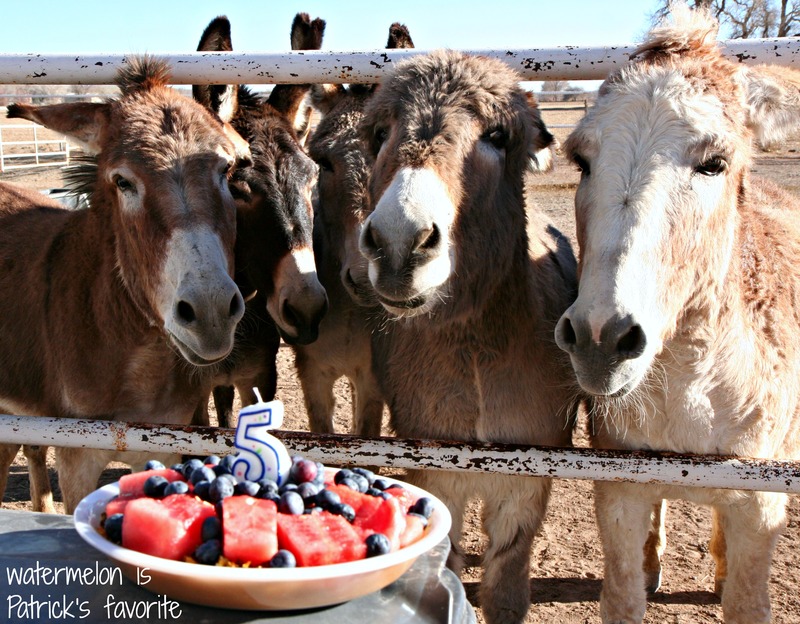 Happy Birthday, Patrick, my “Fluffy!” ❤ ❤ So good to see almost all granddonkeys in the pictures. Miss you all! 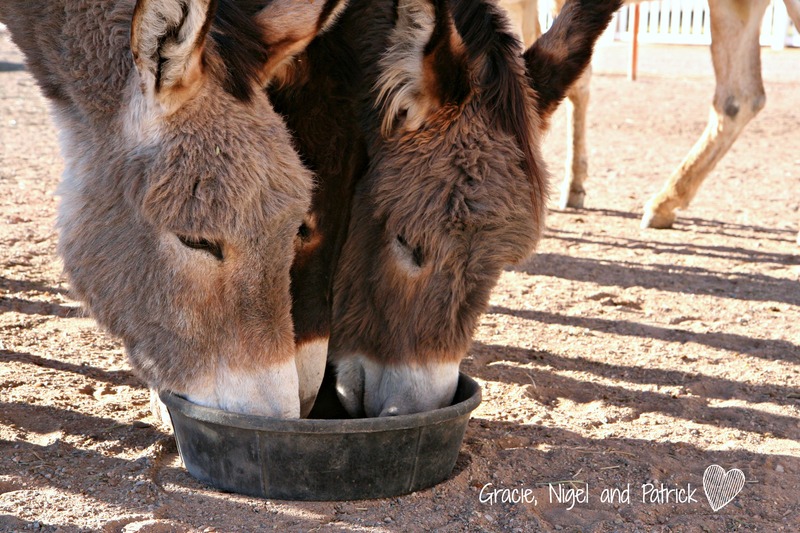 Three donkeys in one dish, now that is friendship ! Hi, Patrick my love. 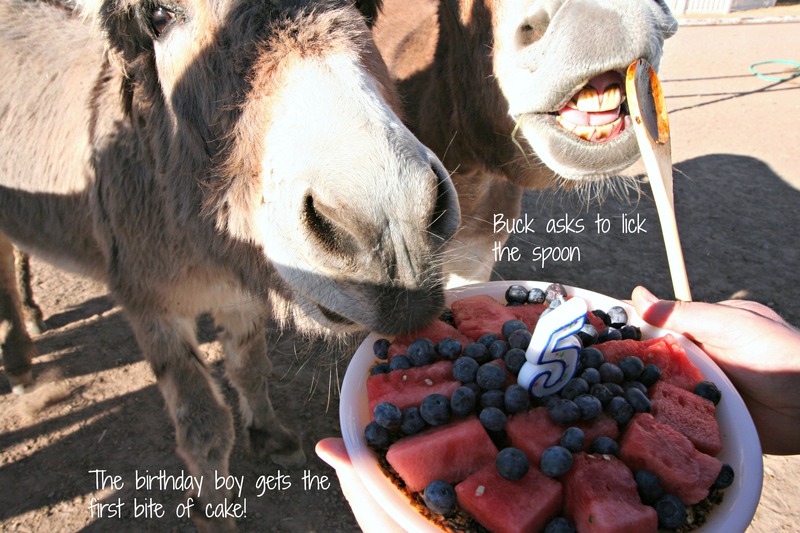 You can’t save all the donkeys in the world, Justina and Don, but for those you take care of: Thank You!!!!!!! 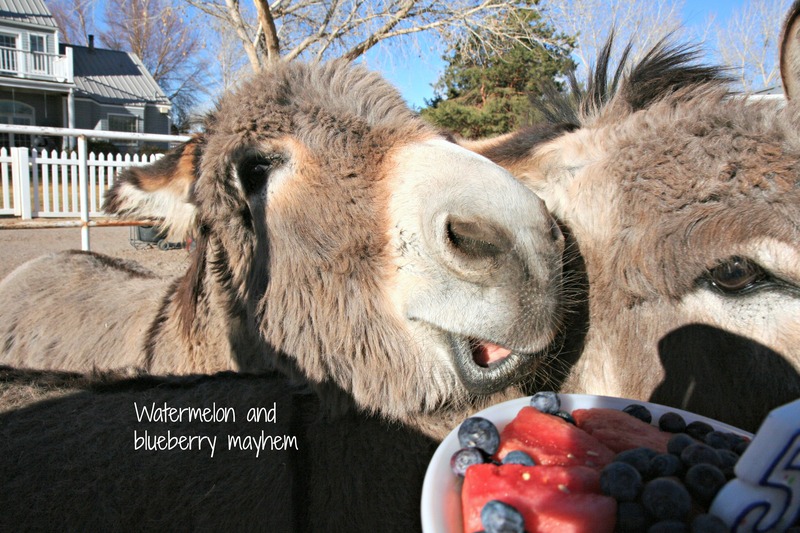 Juicy watermelon is the best treat. Especially in the summer.Happy Birthday Patrick, you have good taste. 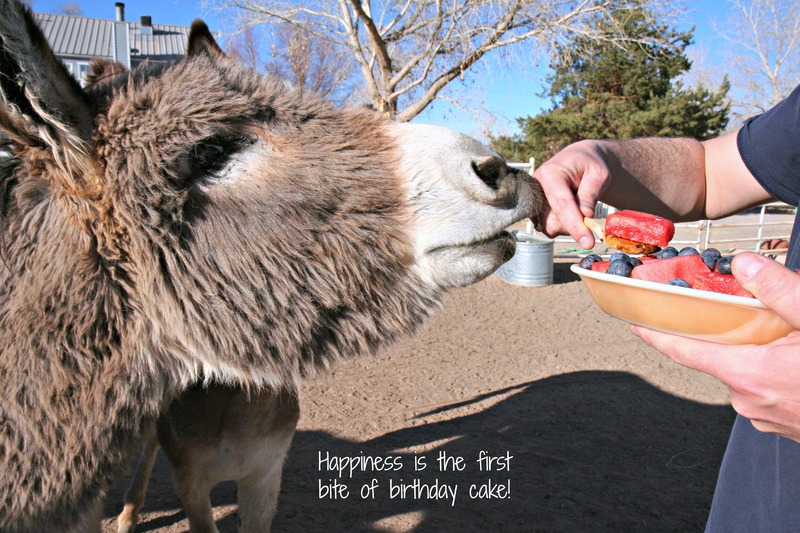 Happy birthday sweet Patrick…what a little slice of heaven on earth you have fallen into 🙂 I love seeing everyone’s faces…and seeing Harriett with her BFF Ellsworth makes my heart SO happy! 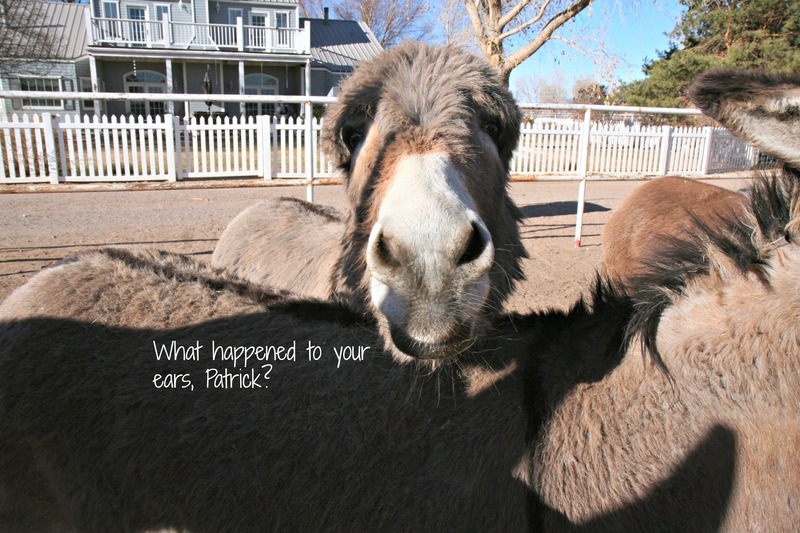 My favorite picture was the one where Patrick forgot his ears >;) sooooo cute! Sending belated birthday hugs and kisses! How much fun to have a Birthday party. I love that you celebrate their special days, beginning with their arrival at Morning Bray. Would the crew be up for more watermelon? I’ll be heading towards your neck of the woods in the next few days. 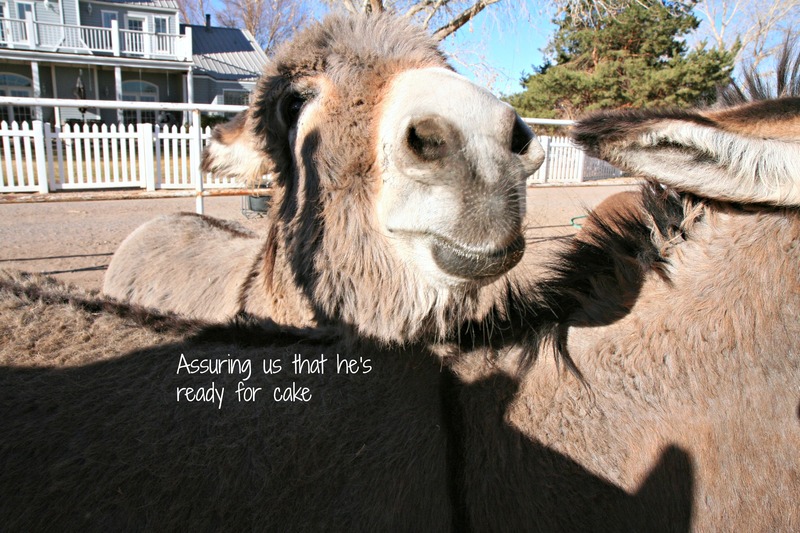 I would love to meet the donks and give them hugs (and treats!) I can be reached at iteach at cpride dot net. Yeah, I know it is short notice. Mr. Dreamy would love an excuse to extend our stay in your area and not go home where it is still freezing and cold! Is it really such a long time that this little cutie found his home? It´s wonderful to see him happy together with his brothers and sisters. Happy Easter to all at Morning Bray Farm!